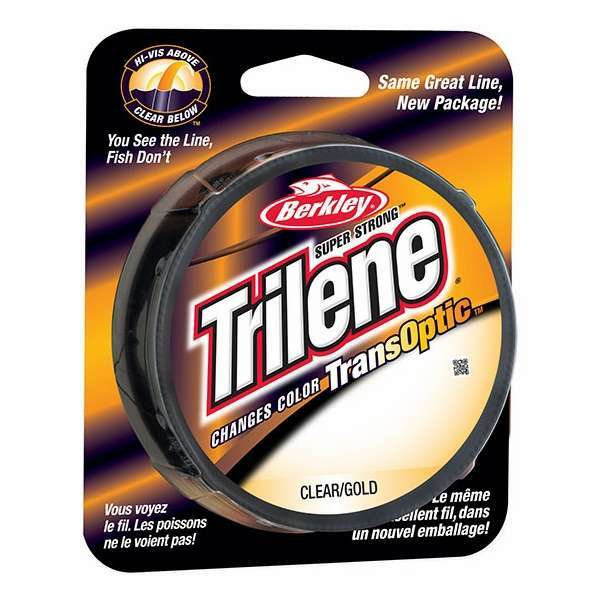 Berkley Trilene Transoptic Monofilament is the first and only nylon monofilament to physically change color! 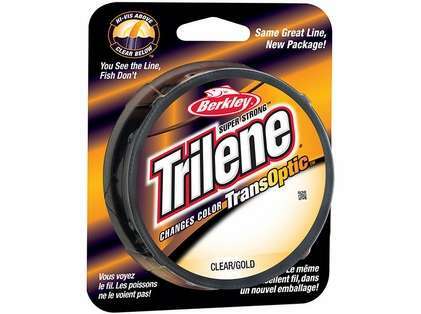 Trilene Transoptic changes to bright gold in sunlight so you can see the line and see more strikes! Trilene Transoptic changes back to clear under water so fish don't see it! did not expect to have a line like this, but it works just like it says on the box. turns to a gold colour when out of the water, so its easier to see, in water its supposed to be invinsible. which i beleive as its gotten me loads more fish. Unfortunately, we only carry the line in the smaller lengths. I just checked with Berkley and it looks like this only comes in 220yd spools.